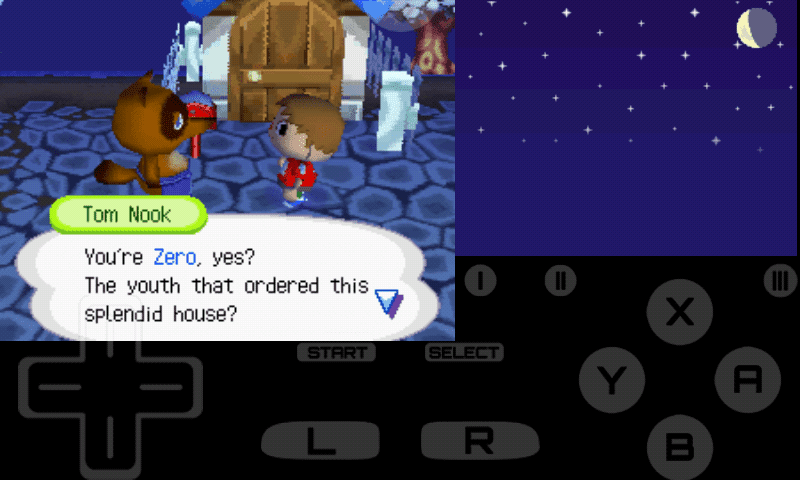 Animal Crossing is a simulation game released on Nintendo DS handheld gaming console. If you read articles about the best games on Nintendo DS history, you may will find Animal Crossing on one of those lists. Ah, my favorite game genre after RPG is simulation. 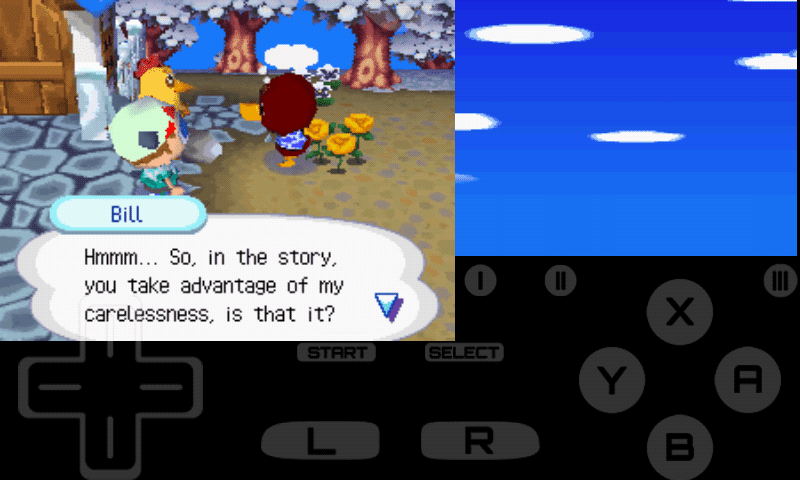 Animal crossing is a cutey must-play Nintendo DS game for everyone who loves simulation genre. I also know this game from one of "best nintendo game" lists on one of article (I forget the website). 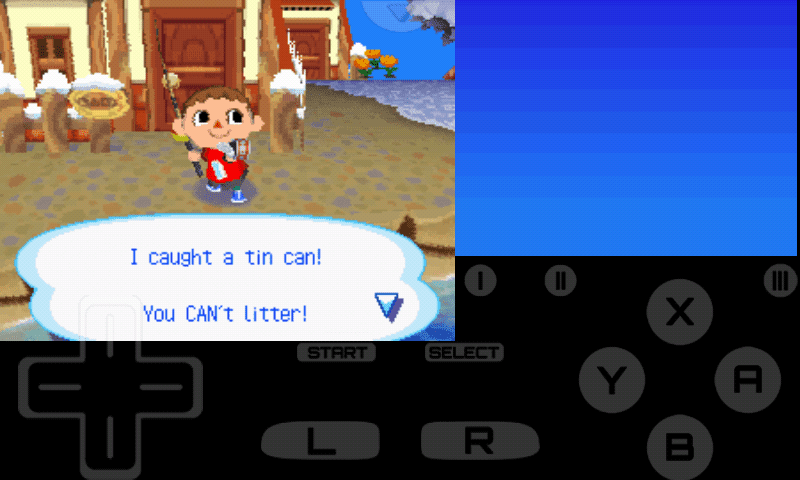 The legend amongst fishes in simulation games, the tin can LOL. Animal Crossing NDS game take player to a wonderful and peaceful Animal Crossing virtual world where everything is player-based oriented. You decide the city name, you decide your character name, you decide are you a boy or girl, you decide your clothing, your house appearance, and many more. You, player will become a subject in Animal Crossing world where everything is decided based on your interaction with the villagers. Should you become a nice or bad boy/girl is your choice. Renovate your house, fishing, farming, catching bugs, digging fossils, design a clothes, and there's more plenty fun activities you can do in Animal Crossing. The animal villagers in funny, praise them to make them happy or just mock them if you want to see they angry. Animal crossing is like trying to say to you that life is beautiful and simple, and it should be like that. Too bad that I don't have the real Nintendo DS and only play Animal Crossing using emulator on my Android device where I can't use online/connection mode. The online play seems very fun as we can visit to another village built by other players or be visited and doing multiplayer interaction. Okay okay, I'm sorry for taking advantage of your carelessness. You are in a cab to travel to Animal Crossing village (you can change the village name later) in hope to find a new peaceful place to stay. When you just arrived at the village, you have your house loan to pay and must start gathering money to pay it. Once your loan is paid, you could get a bigger house and a bigger loan to pay it (LOL). 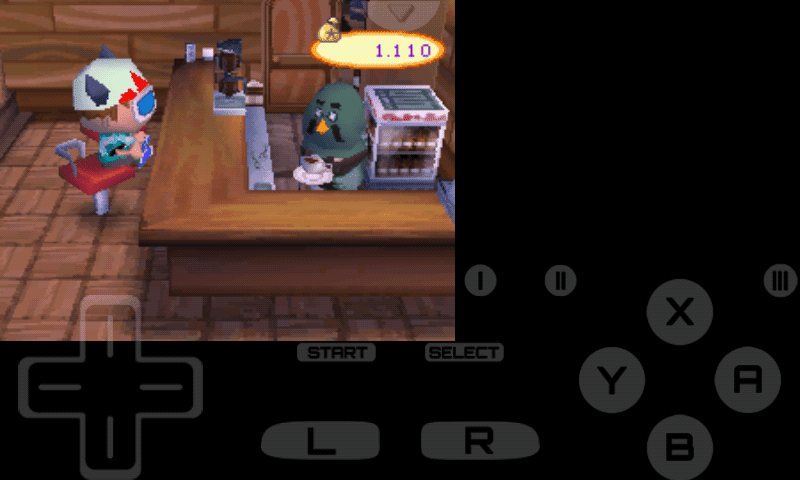 Animal crossing is a real time game following your device clock. If it is night right now in real time, and so too on Animal Crossing. It might seems lonely at the village on the first day you play. But if you come back to play Animal Crossing everyday (everyday on real time) there's always a new surpise in the vilage and your village will start have more new villager without you realize it. Comments (0) in "Animal Crossing NDS Game on Emulator"